Waiting for a bus in Indianapolis is primarily a standing affair. 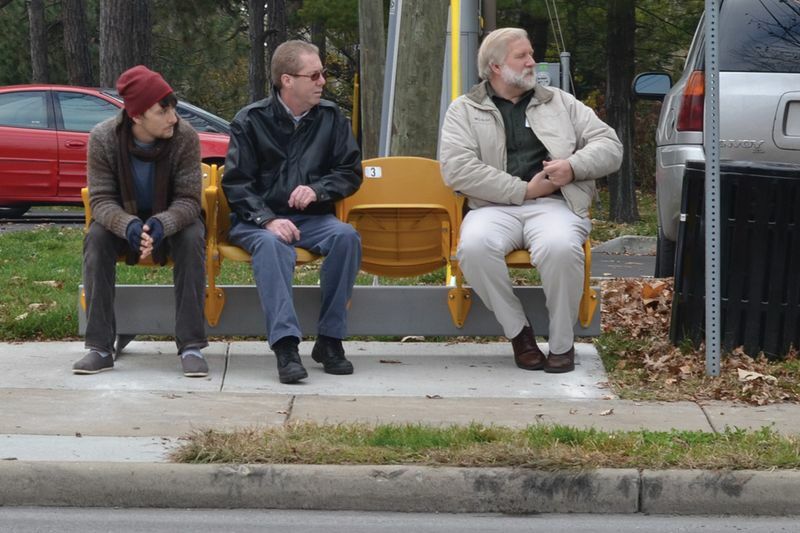 Of the 4,000 bus stops in the city’s transit system, only 42 have benches. When demolition started on the historic Bush Stadium, former home of the Indianapolis Indians, in 2012, People for Urban Progress (PUP) salvaged 9,000 fold-up bleacher seats and began upcycling them as the bus stop seating. PUP, a nonprofit “idea incubator, design center, and do-tank,” partnered with local sustainability advocate Ecolaborative and Indianapolis Fabrications to refurbish the original red and yellow seats for sidewalk installation. Working with the city’s public transit agency IndyGO, there are now 11 “PUPstops” installed throughout Indianapolis, and more in the works. PUP’s website invites citizens to identify sites, sponsor and otherwise help more communities get their own PUPstops.